Several soybeans have turned yellow in the past few weeks and further examination revealed little to no nodules. The problem has occurred with seed inoculated in the bag and seed inoculated at the farm. It has even occurred in cases where a 2x rate was applied at the farm. Several brands of inoculant have been indicated. It has occurred in fields all across the state. The problem has occurred in full season soybeans and in double-crop soybeans. May Not Be A Problem, But Trapping Large Numbers of Stink bugs! Certainly this is the time to be checking your soybeans for the presence of stink bugs. I have not noticed economically important problems in the beans I have sampled, but stink bugs are certainly common and our light traps have been capturing very large numbers compared to previous years. Shelling Corn Early? Watch That Moisture! 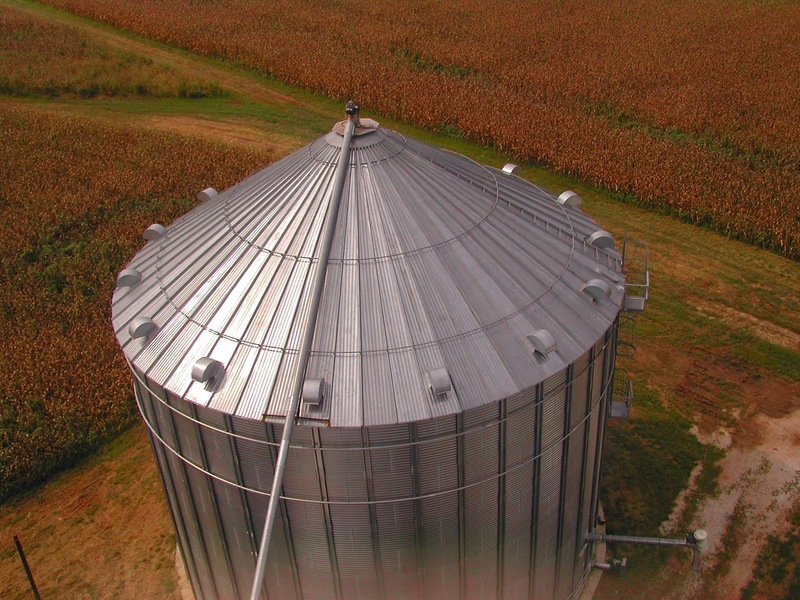 Lack of rainfall has put many corn producers in a bind, forcing them to begin harvest before the normal time. Early storage results in more days of warm, moist air before we reach the relative secure air temperatures of 50o F or below. This early harvest is compounded because the kernels are often still at very high moisture levels. Early binning corn with 15% moisture or greater is a real gamble. Watch for Mites in this Dry Weather! 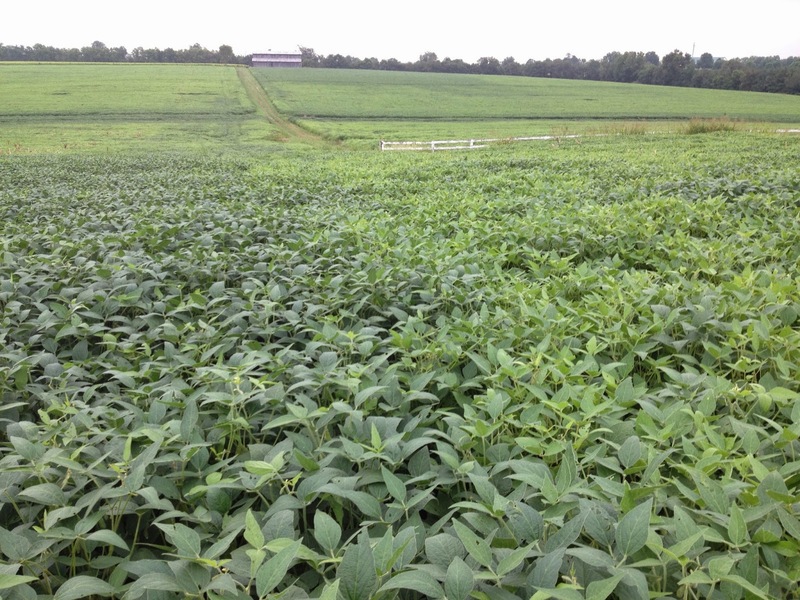 At least one soybean field in the Jackson Purchase area has suffered from mite damage. The weather that we are now experiencing is what I would expect for mites to become a problem. There is no guarantee that mites will be a problem in any particular field, but dry (low humidity) weather and drought stressed plants increase the probability of a problem occurring.If you are in an area that has had sufficient rainfall you can probably ignore this warning. University of Kentucky Extension Weed Specialists are hosting a a Herbicide Resistant Weeds Workshop and Field Day on August 6, 2014 from 8:30 am to noon (eastern) at the University of Kentucky Research Farm in Woodford County. The plots and field is located at the corner of US 60 and US 62. Participants will view field research plots on Marestail (Horseweed) control. The workshop will include discussions on Palmer Amaranth as well as other herbicide resistant weed species.